Thelma Sadoff Center for the Arts (THELMA) is a premier venue providing the community with unprecedented access to arts and entertainment, and a unique destination for weddings and corporate gatherings. Named for a woman with a classic style and an affinity for her community, this vital amenity is the cornerstone of the Arts and Entertainment District in downtown Fond du Lac, Wisconsin. A former Masonic Temple renovated and expanded in 2013 includes a new two-level art gallery that gives a nod to an exciting future and is the perfect backdrop for high-profile art exhibits. 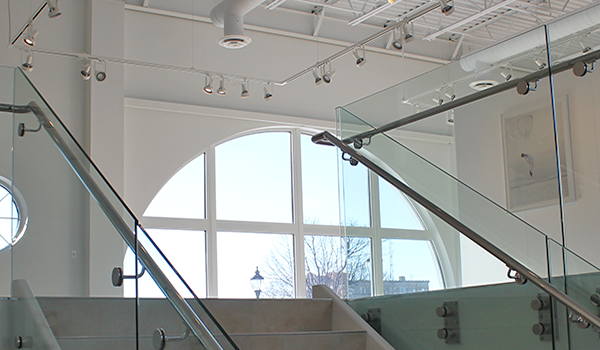 THELMA is an impressive feature in the heart of the city’s downtown with majestic pillars, a grand staircase, and the perfect blend of the historic and the modern. You will want to visit again and again whether it’s relaxing on the spacious outdoor plaza, watching a film, listening to an intimate concert in The Great Hall or attending a major concert in the street. 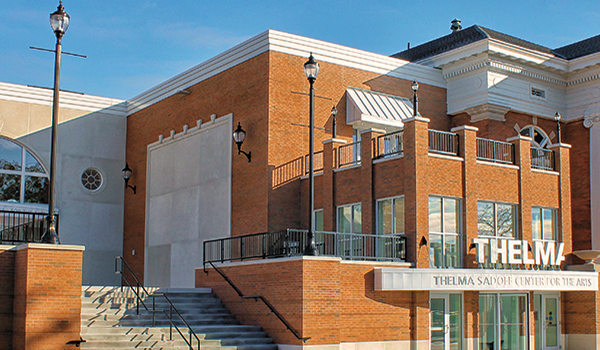 From the historic to the modern, Thelma Sadoff Center for the Arts is the place for weddings of distinction. 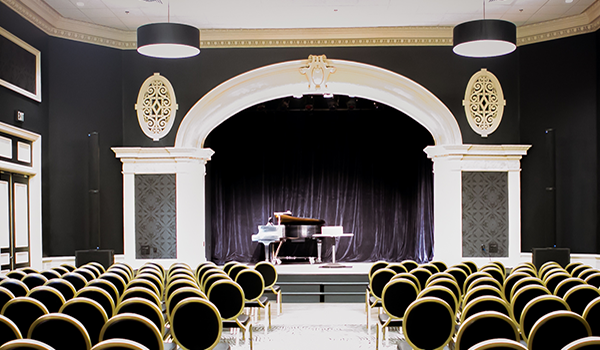 Impress your guests with an unforgettable experience and start your life together in style in our beautifully redesigned arts center. Comfortable spaces, interior design details, and modern amenities offer extraordinary excellence. Exceptional service from our staff will ensure your special day is memorable. "Love is not only something you feel, it is something you do." Do what feels right and book your wedding at THELMA. For more information call 920.921.5410 or email us at info@thelmaarts.org! Hey THELMA members! You get to know who will be performing our ANNUAL STREET CONCERT before anyone else! Be sure to check your email inbox NEXT WEEK to view the band! Not a member of THELMA? Join today and know the band first, purchase tickets first, and receive many more member benefits! Join online at https://51576.blackbaudhosting.com/51576/Annual-Membership or call 920-921-5410!